In my haste to get going on my food-cation, I almost missed out on sharing in the joys of national peanut butter day with you all! Peanut butter is an American favorite, we make sandwiches with it, cookies with it, pie with it… we make it into sauces, and toppings. It’s a comfort food. I remember very vividly my Dad making sandwiches for us when we were kids. Using the moist Holsum white bread and generously applying about a 1 inch thick layer of peanut butter on it; it was so thick and sticky, but we still looked forward to that special Dad delicacy! Peanut butter was patented in 1884 by Marcus Gillmore Edson, although the patent described the preparation of a peanut paste, the modern version is credited to American inventor George Washington Carver. It is made primarily from ground dry roasted peanuts with the addition of oil and in some recipes sugar. A relatively healthful food, peanut butter contains a high level of mono-unsaturated fat ( the heart healthy kind) as well as protein, folate, and fiber. An average serving of peanut butter contains about 180 calories. 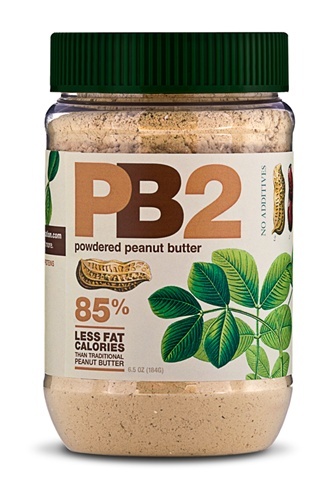 There are even more healthful peanut butter alternatives take for example the newest powdered version PB2. PB2 is slow roasted peanuts that have been pressed to remove the fat. The process creates a peanut butter powder with 85% less fat calories than the standard preparation! PB2 boasts a mere 53 calories per serving and can be mixed with other ingredients to get that rich delicious peanut butter flavor. A quick PB2 recipe in case you want to give it a try; Mix PB2 with sugar free whipped topping and use as a fruit dip, YUM! Peanut butter has been used in some other alternative ways as well. For example, who hasn’t heard of using peanut butter to get gum out of hair? But here is a less widely known use for peanut butter; have you ever made a fabulous pan fried fish fillet in your kitchen only to regret it an hour later because of the smell? Peanut butter can help. While your fish fry pan is still hot, drop in a Tbsp of creamy peanut butter and allow it to coat the bottom of the pan, and cook down slightly, it will kill the smell, and the oil in the peanut butter will loosen up fried bits stuck in the pan to make clean up easier! So, Happy National Peanut Butter Day!! 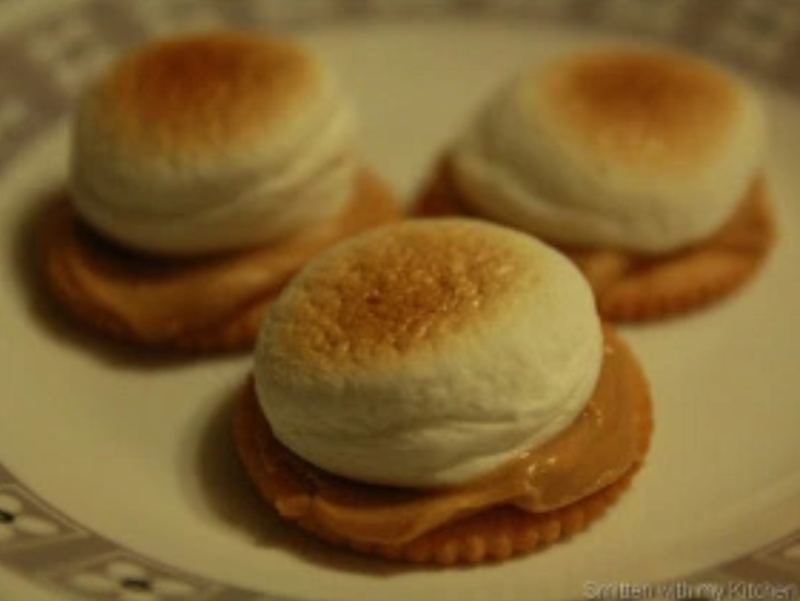 I hope you all celebrate accordingly, I leave you with a simply delightful peanut butter s’more recipe to give try, and now I will be off on previously announced food-cation! Enjoy!! Spread peanut butter on the crackers and top with a marshmallow, place under the oven broiler until the marshmallows begin to brown. And serve! !